Hi, I’m Amanda – one of the East Surrey Twins Club committee members and mum of 3 sons and I’ve just come back from a fabulous Easter family holiday in North Devon. It was super twin friendly so I thought I’d let you know about it! 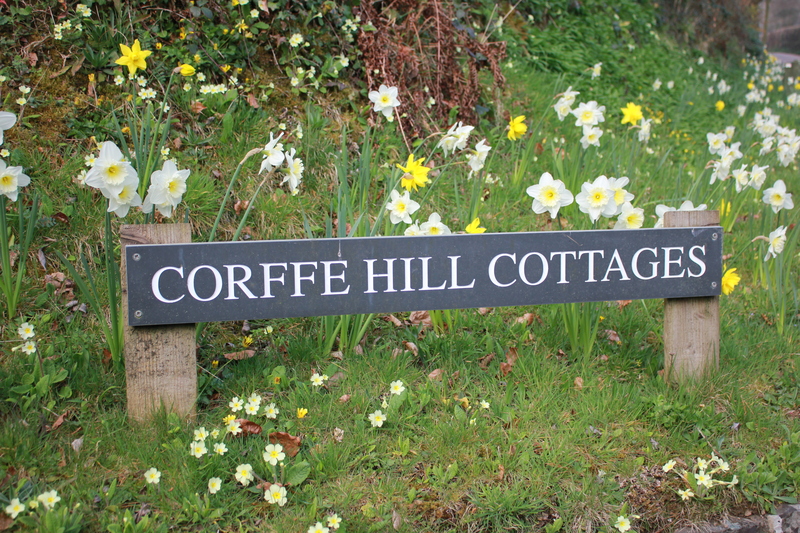 We stayed in a cottage complex called Corffe Hill Cottages , just outside of Barnstaple which was fabulous for families with children of any age. We were a party of 10 so stayed at number 6 with 2 double rooms, one twin room and 2 bunk bed rooms – it was well equipped for children, stair gates, high chairs, melanin crockery included. 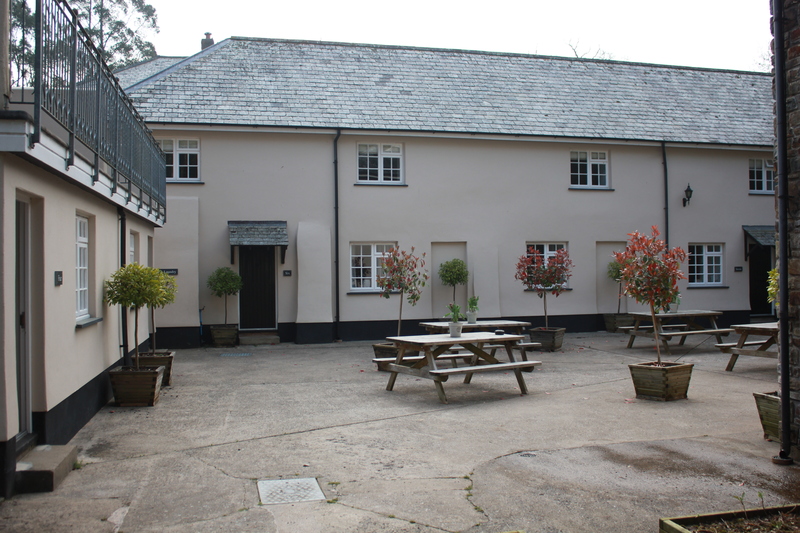 There is a swimming pool, tennis court and woodland playground (for older kids) – my boys couldn’t believe their luck! 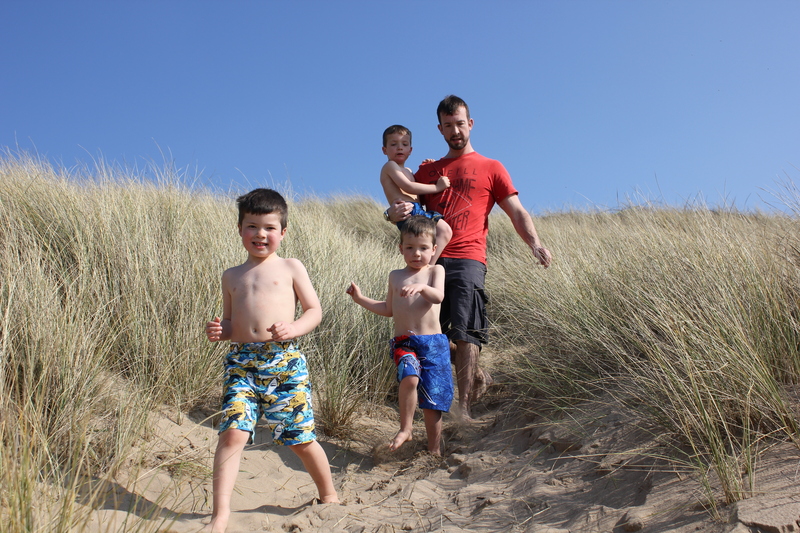 Due to the changeable British weather we’d packed for cold conditions but we couldn’t have been luckier with the weather as it turned out – so we spent most of our time on the beach, not at our back-up plan activities! All the beaches had good toilet facilities, cafes and ice cream shops (essential!) plus surf board hire and lessons. The cafes are somewhat ‘nostalgic’ though so if you are wanting healthy snacks for your little ones I suggest taking a pack-up. 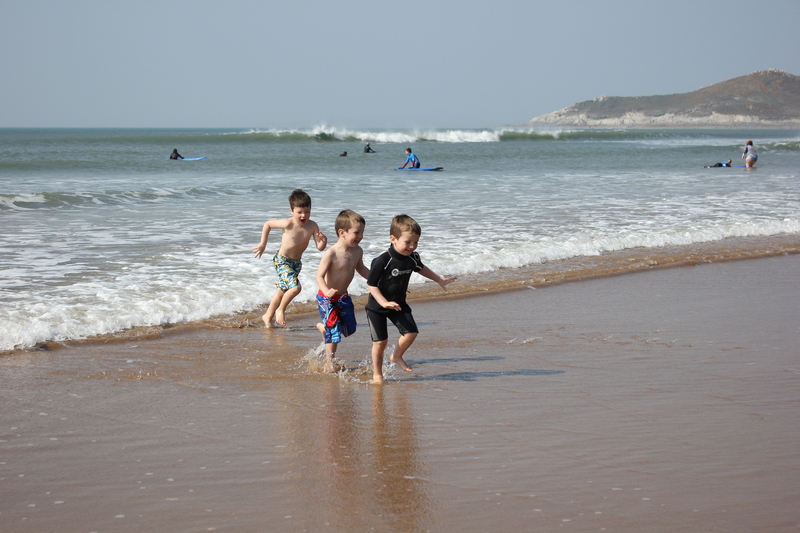 The beaches we visited were Woolacombe, Saunton Sands, Bude (in Cornwall) and Croyde Bay. Beach parking was very easy and on average £5 per day. Saunton has the most fabulous sand dunes for rolling and tumbling and the beaches are so flat, paddling is easy (although in April it was rather nippy!) My husband is a surfer so he got in a few hours of clean surf. 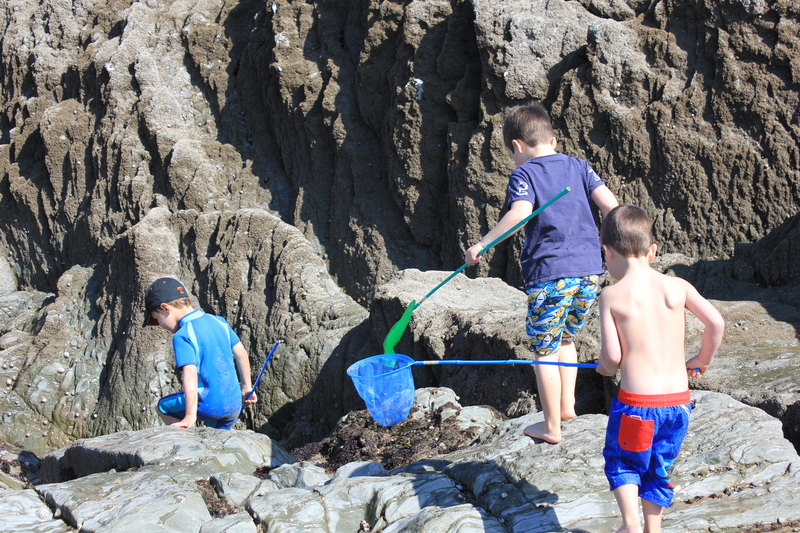 Woolacombe has lots of rock pools when the tide is out so we had lots of fun with the nets in those. 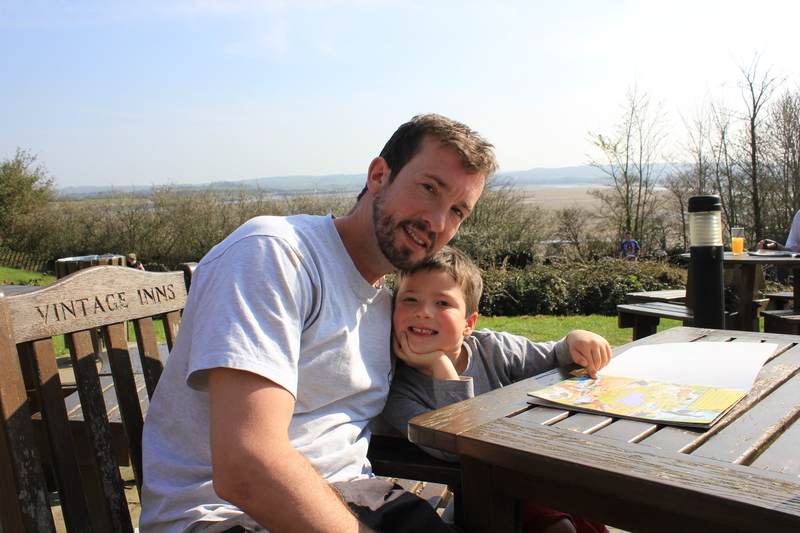 Whilst in Devon we visited Watermouth Castle which was a great family friendly attraction. It was perfect for the age of my little ones (5 and twin 3 yr olds), however it is set on a hill so if you’re pushing a double buggy then you’ll want to make sure you’ve had your Weetabix for breakfast! On a cloudy day we went to Quince Honey Farm which was a lovely bee farm with lots of educational elements to it, there was also an Easter egg hunt when we were there, plus a big soft play area. I would definitely recommend here for a rainy day. One of the many other places we didn’t get round to visiting was The Big Sheep which looked pretty fab, and we had planned for horse riding lessons and a fishing / boat trip but the beaches won with the boys every time! Oh and the Dinosaur and Wildlife Park which we’ll definitely do on another visit. We did try to visit Clovelly but were disappointed to find out on arrival that just to walk into the town there was a £6.95 charge pp which we thought was a little steep, certainly considering how many there were of us. And our full days out at Watermouth Castle were only £12 pp so it didn’t really compare for value for money! Have a look out for discounts before you go, we had 3 A4 pages of discount vouchers for local attractions from cream teas to Dartington Crystal and all the family attractions too. 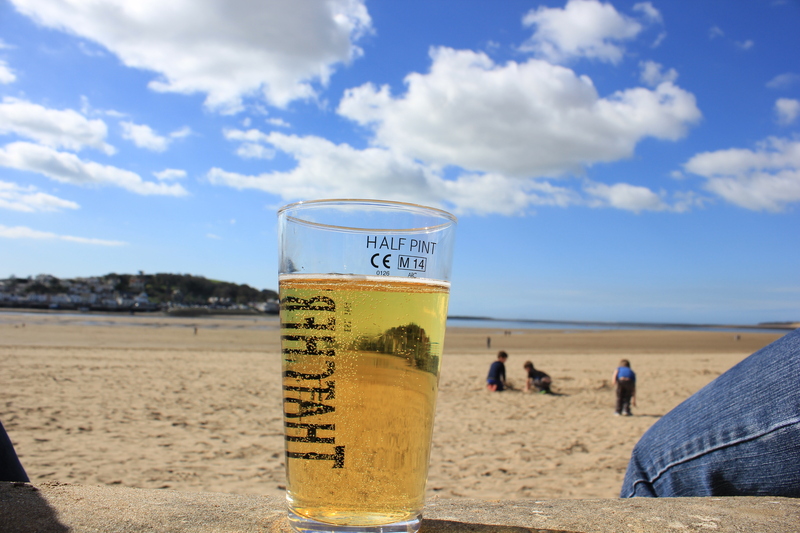 We did stop off in the odd pub garden and at Instow there are two pubs along the waterfront so you can sit on the edge of the beach whilst sipping a cold Cider :-). We didn’t really eat out as we ate in the cottage every night – mainly pre-cooked meals that we froze before we came down and also Tesco delivers to the cottages so we got a weekly shop ordered before we arrived. We had such a great time. we’ll definitely be visiting again and please do get in touch with me if you want to ask any questions about our holiday and for recommendations! 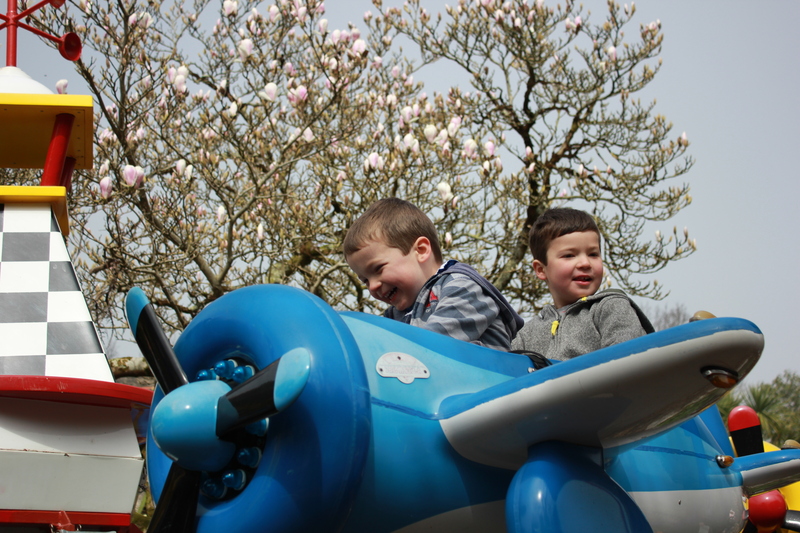 This entry was posted in Holidays, Just For Fun, Travelling with twins and tagged baby friendly holidays, easter break, family holiday, holidays, north devon, staycation, twin friendly holidays on April 11, 2015 by eastsurreytwinsclub.